Julington Creek’s 8U-A team, STORM, travels to Orlando as one of 17 teams entered in the USSSA President’s Day Challenge. Holding their own, being one of the highest overall scoring teams and playing ‘get it done’ defense, they were able to keep opponents within striking distance all weekend. Hard play, battling back and good old fashion wins resulted in bring home hardware for a 4th place overall result. 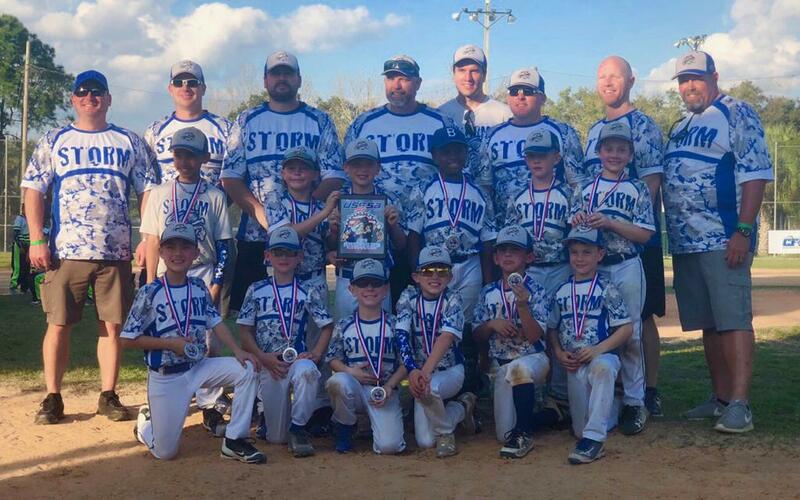 This in just their first USSSA Nations Tournament appearance, their never give up (attitude is everything) and gritty style of play promises the sky is the limit for the now known 8U JCB-STORM. Who are we? J-C-B!